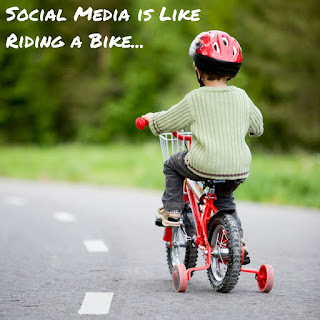 Social media is like riding a bike isn't it? A few quick outings and you'll soon have the hang of it? And once you've learnt how to use social media you can hop back on anytime you'd like! Sorry to disappoint, but nothing could be further from the truth - and this goes a long way towards explaining why recruiting teams have so spectacularly failed to capitalise on the opportunities that social media presents. Sure it's easy to start using social media, but it has to be mastered for true business results to start flowing. 1) Your candidate targeting hasn't been explicitly defined and shared across the team. What types of candidates are you trying to reach? Passive candidates? Active candidates? What job titles are you targeting? Which competitors have staff you would like to woo? Which types of roles are you best placed to fill via social media? If this hasn't been put in writing and shared with all your recruiting team, how can you expect the whole team to pull in the same direction on social media? 2) There's no consistency of message. What makes people choose to work for your company as opposed to your competitors? Consequently what types of people do you need to be appealing to? Has your messaging been designed to appeal to this demographic of candidate? And most importantly, have these messaging themese been shared with all your recruiting team so that everyone's updates reinforce the wider company message you want potential candidates to be exposed to? 3) There's no clear conversion strategy. Once your social media profiles are winning followers and you've started interacting with the types of candidates you'd like to hire, what conversion tactics are you implementing to turn possible interest into concrete actions that candidates take to bring them into your hiring funnel? (P.S. simply sharing your latest jobs with them falls way short of what's needed and can actually be counter-productive!). 4) There's insufficient testing being undertaken. From the types of content you share... to the tone of messaging you use... to the social media adverts you run - every element of social recruiting needs to be tested and perfected. Continuously improving the results you're getting means you have to be regularly testing out new approaches, new messages, new conversion strategies - and then tweaking your social media approach based on what's producing the best results for your recruiting team. 5) There's a resourcing void! Are there recruiters or marketers in your business dedicated to mastering each social site, each of whom has their time part-allocated to building your social recruiting capability? If not, this is a sure-fire way to underachieve on social media. It's commonplace for recruiters to be asked to try out social approaches alongside their regular day job, without freeing up hours of their time to do so. This doesn't work! Non-core responsibilities are always the first things to be sacrificed if a recruiter is struggling to fulfil their primary responsibilities. So the company never really builds any momentum or generates the necessary degree of expertise in social recruiting. You simply must have some dedicated resource - either in-house or by buying it in from external social media experts. If your conclusion is that your recruiting team is simply not at the races when it comes to social media, we can help. By providing an outsourced service to build your social media recruitment presence, we free your recruiting team to focus on actual recruiting - whilst simultaneously bringing the social media expertise to the task of growing your social media presence. Join one of the next webinar dates to learn more about the impact social media can have on your recruiting team, or book in for a consultation with one of our team using the calendar button below.